Mulching (in regard to lawn mowing) is the practice of mowing a lawn without the bag in place, allowing the cut grass pieces to fall back onto the lawn. After being sliced up finely by the mower, these pieces of grass are able to fall to the surface of the soil, where they are broken down by microorganisms in the soil, a process which releases nutrients. 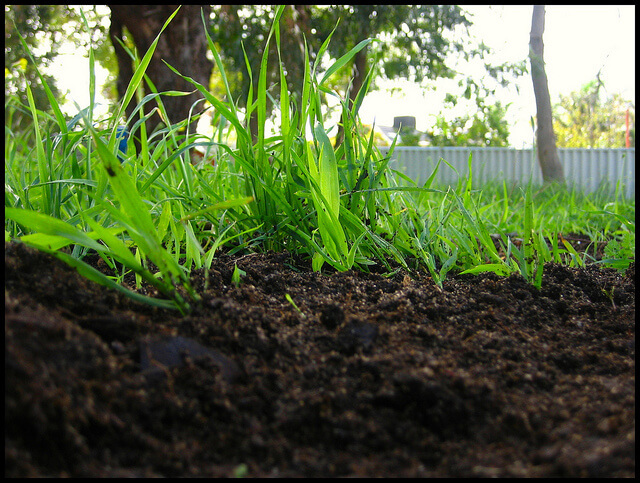 While too much mulch can stifle grass growth, the correct amount can help you grow a more beautiful lawn! The more often you cut, the finer the grass debris will be and the more effective the mulch will be at nourishing your lawn. Waiting too long will result in larger pieces of grass which can suffocate your lawn instead of feeding it. One common strategy is to “mulch twice, bag once,” however this rule of thumb only works if you’re mowing regularly- at least once a week. Of course, you may be thinking about now “But what if I don’t want to take up precious mental real estate remembering the nuances of mulching my lawn?” That’s a perfectly valid response, and Mr. Tree and Lawn Service is here to help! If lawn care is not on your list of relaxing weekend activities (SPOILER ALERT: Lawn care is on no one‘s list of relaxing weekend activities), we’ve got you covered with residential lawn care programs to fit your yard and budget. We have over 20 years of residential lawn care experience, lots of happy customers, and an A+ Better Business Bureau rating, so you can relax knowing your yard is getting the royal treatment from experienced experts. Give us a call today at 352-682-4444 to set up an estimate!